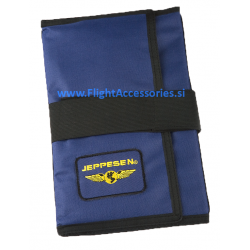 The Jeppesen IFR Three Ring Trifold Kneeboard is great for organizing & holding approach charts. 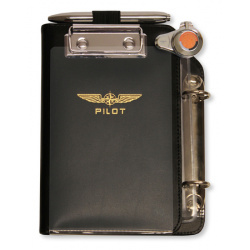 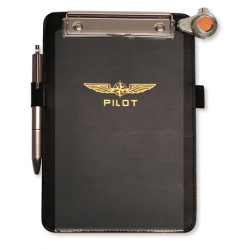 The Jeppesen IFR Three Ring Trifold Kneeboard features chart pockets, collapsible rings, pen holders and more. 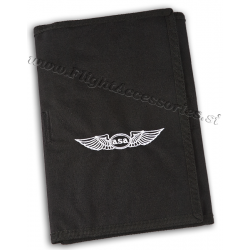 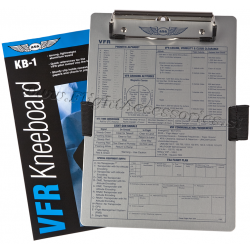 Includes an additional leg strap which allows you to use the clipboard independent of the kneeboard. 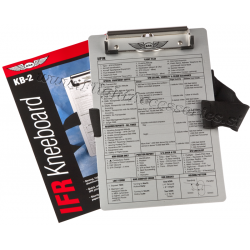 This pilot Kneeboard includes an aluminum clipboard with valuable newly-updated IFR flight information printed on the face. 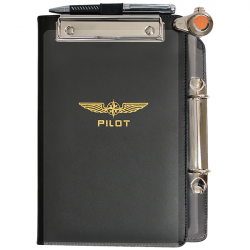 It also features three approach chart pockets, three collapsible and removable rings sewn into the reinforced spine, and an elastic holder for a pen or penlight. 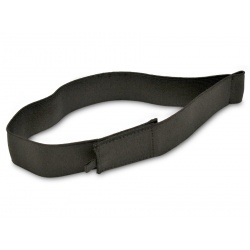 Additionally, the foam cradled back allows for added comfort and leg positioning. 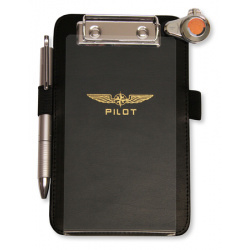 Each pilot kneeboard is made from Dupont's™ heavy duty 600D-Denier Cordura® polymer, designed for superior strength, abrasion resistance, and durability. 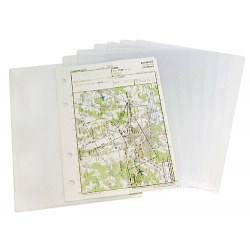 TravelJohn resealable disposable urinal is convenient, sanitary, discreet and compact solution. 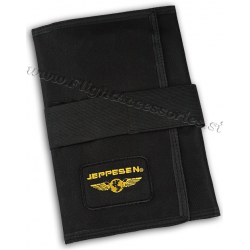 A portable toilet for use anytime, anywhere! 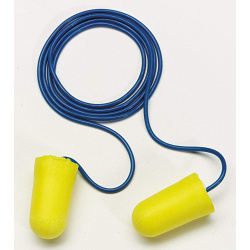 Can also be used for motion sickness.